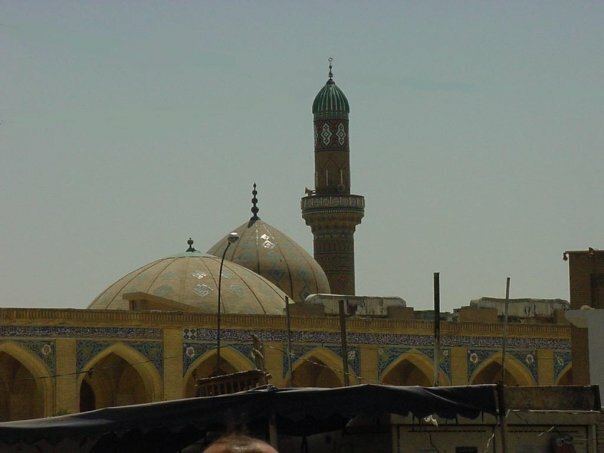 Three Questions from The Roman King to The Scholars of Islam in Baghdad ? Many years ago, during the time of the Tâbi’în (the generation of Muslims after the Sahâbah), Baghdâd was a great city of Islam. In fact, it was the capital of the Islamic Empire and, because of the great number of scholars who lived there, it was the center of Islamic knowledge. One day, the ruler of Rome at the time sent an envoy to Baghdad with three challenges for the Muslims. When the messenger reached the city, he informed the khalîfah that he had three questions which he challenged the Muslims to answer. The great assembly of people were silent. (Can you think of answers to these questions?) In the midst of these brilliant scholars and students of Islam was a man looking on with his young son. “O my dear father! I will answer him and silence him!” said the youth. So the boy sought the permission of the khalîfah to give the answers and he was given the permission to do so. The number of the sciences [‘ulum]. Explanation of the Sacred Law [Shari’a], the Spiritual Path [Tariqa], Direct Knowledge [Ma’rifa] and Reality [Haqiqa]. Exoteric science [al-‘ilm az-zahir] consists of twelve branches, and esoteric science [al-‘ilm al-batin] likewise has twelve branches. These branches are divided among the common folk and the special élite, in proportion to their capability. 1. 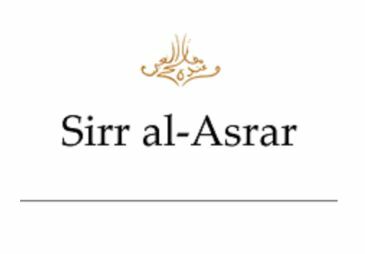 The outer aspect of the Sacred Law [Shari’a], meaning the commandments, prohibitions, and other rules and regulations. Hadis Shareef: The Prophet Salla Allahu ta’ala’alayhi wa sallam said: A believer loves for others what he loves for himself. He said: He who loves God and the hereafter, let him honour his guests. He said: He who believes in God and the hereafter shall honour his neighbour. He said: He who believes in God and the hereafter should utter good words or remain silent. He said: He who is a perfect believer is best in conduct. He said: When you see a believer silent and grave, come close to him as he is full of wisdom. He said: He who is pleased with virtues and displeased with sins is a believer. He said: No believer shall look to his brother Muslim in such a way that gives trouble to his mind. He said: It is unlawful for a Muslim to threaten another Muslim with fear. he said: If two companions consult with each other with trust of God, it is not lawful for one of them to disclose the secrets of another. Good conduct comprises the following qualities – shame, to consider calamity as little, to wish good of all, truthfulness, little talk, much divine service, little shortcomings, gravity, patience, contentment, kindness, abstaining from begging, curse, rebuke, back-biting, hatred, miserliness, haughtiness and pride, to love for God and hate for God. These qualities are called good conduct. The sage Eusof b-Ashat Radi Allahu anhu said: There are ten qualities of good conduct not to break promise, to do justice, not to take revenge, to recognise evil as sin, not to raise excuse, to bear the harms of others, to restrain passion, to know one’s own faults from seeing the faults of others, to come to every one with smiling face and to talk with humility with others. (1) The Holy Prophet Salla Allahu ta’ala’alayhi wa sallam was once walking with Hazrat Anas Radi Allahu anhu and met with a desert Arab with a thick cloth on his body. The desert Arab threw the cloth round the neck of the Prophet Salla Allahu ta’ala’alayhi wa sallam and began to drag him with force. Hazrat Anas Radi Allahu anhu said: As an effect of this forced dragging, spots of the cloth fell upon his neck. The desert Arab said: 0 Muhammad, give me something of the wealth you have got from God. The Prophet Salla Allahu ta’ala’alayhi wa sallam smilingly looked at him and ordered something to be given to him. (2) At another time when the Quraish was giving the Prophet Salla Allahu ta’ala’alayhi wa sallam trouble in the Battle of Uhud and oppressing him, he said: 0 God, forgive my people, because they are ignorant. Then God revealed this verse: You are upon sublime character-68 :4. (3) Once the sage Ibrahim-b-Adham Radi Allahu anhu was travelling through a desert. On the way he met a soldier who asked him: Are you a slave? He said: Yes, I am a slave The soldier said: Can you tell me where is locality here? He pointed out ;o the grave. The soldier said: I am seeking locality. He said: Graveyard is the place of habitation. The soldier was engaged at this, bound him with a chain and whipped him on his back and took him to a town. The disciples of Ibrahim came to him and the soldier told them about him. They said: His name is Ibrahim-b-Adham Radi Allahu anhu and he is the friend of God. Then the soldier fell at his feet and begged pardon from him. On being asked by the people, he said: When the soldier was beating him with stick, I prayed for him paradise. They asked: Why did you pray paradise for him though he oppressed you? He said: I know that I will get rewards in lieu of his oppression. I don’t like that one should remain a sinner for me for whom I got rewards. (4) Once a man invited the sage Abu Osman Hariri Radi Allahu anhu and his object was to examine him. When the sage went to his door, he said: Now there is nothing for food. On hearing this, Abu Osman Radi Allahu anhu went away. When he went to some distance, the host called him again. When he came again, he said: Return. Then he returned. He called Abu Osman Radi Allahu anhu for the third time and the latter also came to him. He said: You have not come in time for food. Then he returned. When he called Abu Osman Radi Allahu anhu for the fourth time, the sage came to him and this time also he did not give him food. When he was going, the man feel upon his feet and said with folded hands: I have done it only to examine you. How good is your conduct! The sage said: You have found in me the conduct of a dog. If a dog is called for food, it comes on call and flees away when driven away. (5) Once the sage was passing by a bylane when somebody threw some refuges on his head. He removed the refuges from his body and prostrated on the ground by way of gratefulness but didnot take retaliation. He said: If one is fit for Hell, will it not be a cause of gratefulness if refuges only are thrown on him? (6) Once the sage Sahal Tastari Radi Allahu anhu was asked about good conduct. he said: The lowest good conduct is to bear with patience the troubles given by others, not to take revenge, to show kindness on the oppressor, to ask forgiveness for him and to be kind to him. (7) The sage Ahnaf-b-Qais Radi Allahu anhu was once asked: From whom have you learnt patience? He said: From Qais-b-Asem Radi Allahu anhu. He was again asked: How did he learn patience? He said: He was once seated in his house when a black female slave was coming to him with a cup of hot roasted meat. Suddenly the cup fell from her hand and fell on the head of his child who died as a result. The female slave was greatly fearful of her master who said to her: You have got no fear. Go, you are free for the sake of God. It was narrated that when the little boys saw the saint Owais Qarni Radi Allahu anhu, they used to throw pebbles at him as they thought that he was a mad man. He used to say to them: 0 dear children, if you are to throw pebbles at all, throw small pebbles at me, so that no blood can come out. If blood comes out, my ablution may break. Know, 0 dear readers, that the training of a child’s character and conduct is of supreme importance. God entrusted the children in the hands of their parents. The heart of a child is bright like a jewel and soft like a candle and free from all impressions. It is soft like the soft clay in which any seed can grow. If he is given good training of character and conduct, he grows in that condition and acquires fortune both in this world and the next. If he goes to commit sins and lives a life of a beast he is doomed to failure and destruction. God says: ‘0 those who believe, save yourselves and your family members from Hell fire.’ As the parents save their children from the fire of the world, so they should save them also from the fire of Hell of the next world. This means that they should be given training of good conduct and character, save them from bad company and luxurious habits, delicious dishes and beautiful dresses. When a boy reaches the age of discretion, care should.be taken of his character. He gives up then something out of shame and takes up something. He should be given the training of eating and drinking. The following are some of the rules of ea ;ng and drinking (1) Food is to be eaten with the right hand. (2)`h should be begun with the recitation of God’s name. (3) It should be taken from the side of the dish which is nearest. (4) It should not be taken before others begin to eat. (5) None should took to the ea$ng of others. (6) Food is to be chewed well and not hastily. (7) None should wipe his hand with his wearing garment. (8) Rice or bread without curry should sometimes be eaten. (9) The harms of over eating should be known. (10) Rewards of little food should be known. (11) White cloth and not garments of variegated colours should be put on and not silk cloths. 912) A boy should be directed not to join bad company. (13) He should not be allotted to mix with boys who dress luxuriantly, eat delicious foods and are haughty. The children should be given at the beginning to learn the reading of the Holy Quran and thereafter Hadis or the sayings of the Prophet Salla Allahu ta’ala’alayhi wa sallam and the histories and lives of the Prophets Alayh Sallam, saints and sages. If they don’t love them at the beginning of their lives, it would be disastrous for them afterwards, as soft minds get impressions of good or bad in early age. They should not be given literature and poems of love anecdotes. They should not be allowed to sleep at day time as it creates idleness, or to sleep on soft beds till their limbs become strong. They should be given to put on coarse cloth, coarse food and coarse beddings. They should not be allowed to make plays and sports requiring hard labour and should be encouraged to walk on foot. They should be taught in this way: Don’t spit before the people, don’t cleanse nostrils before them, don’t yawn before them, sit with them in a good manner and don’t keep them behind, don’t sit placing one leg upon another, don’t talk too much, don’t tell falsehood, show respect to the elders and seniors in age, don’t hold indecent talks and don’t rebuke and backbite others. When a boy reaches the age of discretion, he should be told to pray, fast Ramzan and observe the religious duties. When he reaches youth, he should be given education on everything and the reasons for observing religious duties. He should be given instruction that this world is short lives and the next world is everlasting, that death is imminents that a wise man takes provisions for the next world from this world and he should be given such other profitable teachings. The sage Sahal Tastari Radi Allahu anhu’s training. He said: When I was three years old, I looked at the prayers of my maternal uncle at night. one day he said to me: Why don’t you remember God who created you? I said: How can I remember Him? He said: When you go to bed at night, say three times without moving your tongue: God is with me, God is near me, God is looking at me. I learnt them in this way. Then he said: Recite them seven times every night. After seven days, he said: Recite this eleven times every night. After one year, he said to me: Recite this till you go to the grave and this will be your friend in this world and the next. 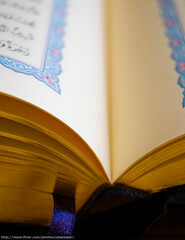 I learnt the Quran by heart at the age of seven years. At twelve, I began to fast all the year round. I began to follow the following ways in my life. I used to purchase wheat with one dirham per day, prepare food with it, fast the day and break it with that without curry or salt. After one year, I began to fast three days at a time with a break of the next day. Then I used to fast three days at a time and then seven days. Thus I increased my fast gradually to 25 days at a time without any break. In this way, I spent twenty years of my life.